Winneshiek Idea House is a forum and show to highlight local impact investing and support local entrepreneurs and business ideas that contribute to the resilience and sustainability of Winneshiek County. At the Trout Tank, set for Saturday, Feb. 23, attendees will explore ways to invest locally, connect over hearty appetizers and support local entrepreneurs. The event is 5-9 p.m. at the Decorah Elk's Lodge. This year’s featured entrepreneurs for the Trout Tank are: Ben Gardner and Steve McCargar with Waving Grains Cooperative Bakery; Elsa McCargar and Conor Murphy with The Wilders Way; Clara Muggli-Toyloy with Oak and Olive Flowers; Ellen Rockne with The Lingonberry. These entrepreneurs will present their ideas and share what they need from the community to take their businesses to the next level. Everyone is welcome. To learn more and to register for the event, visit winneshiekdevelopment.org/idea-house/. 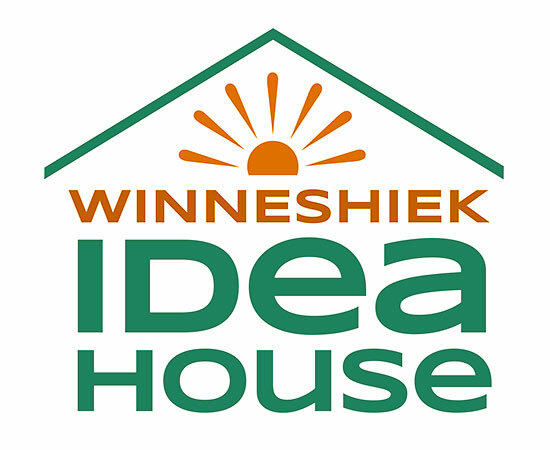 Winneshiek Idea House is sponsored by Winneshiek County Development, Inc.